This year's South Dakota Film Festival looks to be a great one with a tribute to the Val Kilmer/Graham Greene thriller "Thunderheart." Special guests confirmed for the Sept. 28-30 Aberdeen festival are "Thunderheart" producer Jane Rosenthal and star Graham Greene. If you've never seen this 1992 movie that was filmed almost entirely in South Dakota, you owe it to yourself to catch it. A somewhat fictionalized accounting of the unrest on South Dakota's Indian reservations in the 1970s, it's one of my favorite films of all time. The full list of films to be shown at the festival is here. The full schedule has yet to be announced, but will be soon at SouthDakotaFilmFest.org and the South Dakota Film Festival Facebook page. I had fun choosing this particular painting online that now hangs in my downtown office, from Wahooart.com, who sells canvas prints of art masterpieces. While the original is treasured in some art museum in England, my print http://EN.WahooArt.com/A55A04/w.nsf/Opra/BRUE-8LHS4U, of this painting by Edward Burne-Jones is very much appreciated by my staff and clients. The print quality is really excellent. 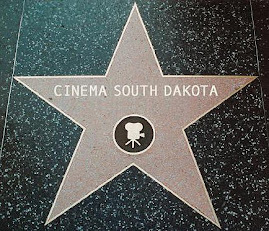 Welcome to Cinema South Dakota, a collection of historical trivia about movies made in South Dakota. 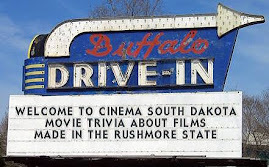 Some are classic films and some are duds, but they are all part of South Dakota history. Interviews with people who helped make some wonderful film history will be featured, along with stories from behind the scenes, and information on how to visit the locations you've seen on the screen. Thanks for stopping by, and feel free to leave a comment! This blog is not officially related to the South Dakota Film Office, South Dakota Department of Tourism, or any other agency or organization.